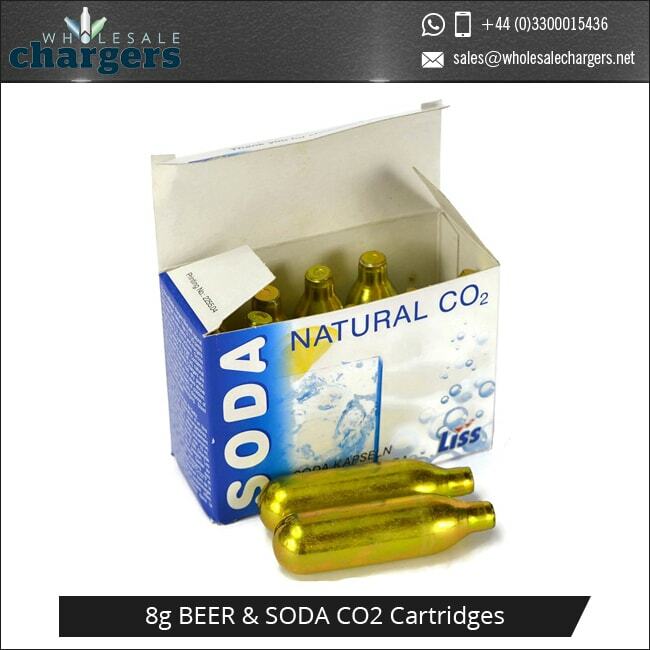 The 8G beer and soda Co2 cartridge uses an odourless, colourless gas, brilliant for all kinds of applications at home and in business. 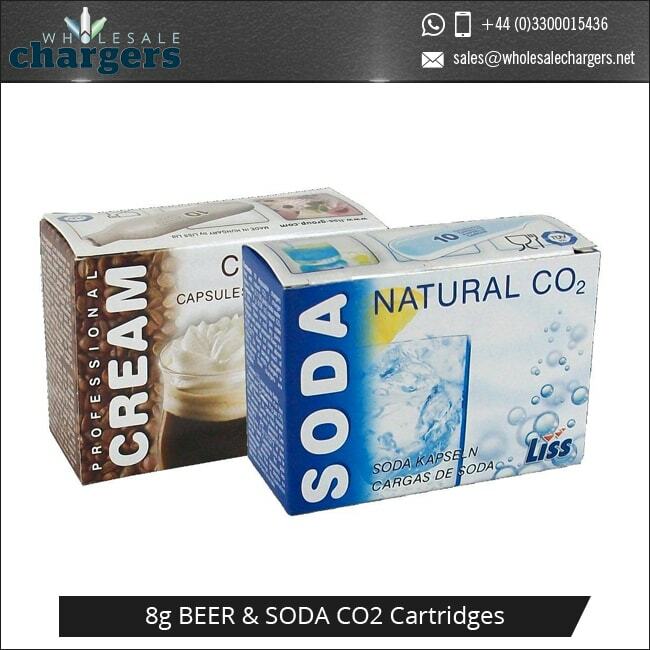 The Co2 soda charger is excellent for use with any soda siphon to carbonate your drinks any time, adding new sensation and flavour to your favourite drinks and cocktails. 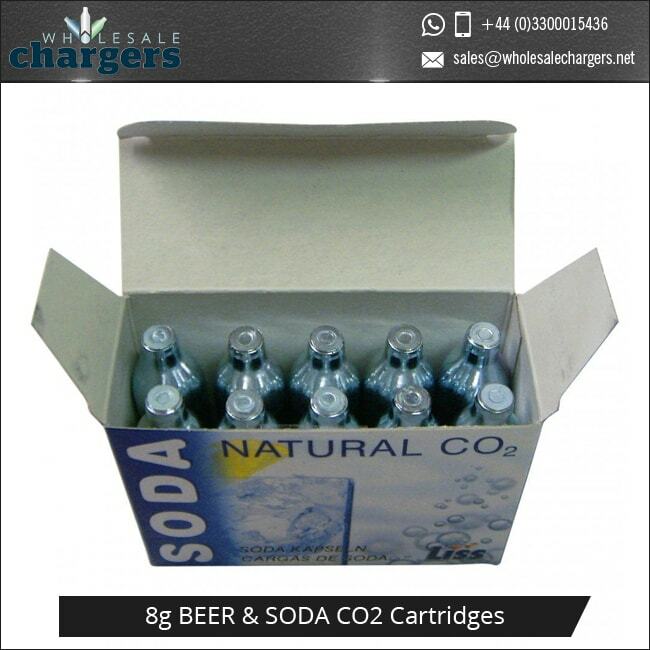 The 8g soda chargers are great for use at home, at your bar or pub, the 8 gram Co2 cartridges are quick and easy to use, great for convenience at home or if you have a big order of drinks. The c02 canister is very useful for home brewed beers, keeping air out while you empty the cask and preserving your beer. They are filled with Co2 that is safe to use with any beverages, providing Co2 for beer keg and home brew needs. These beer co2 cartridges are commonly used, but make sure that they are compatible for your use. A Co2 bottle for beer brewing and carbonating, great also if you need a co2 refill for beer brewing. 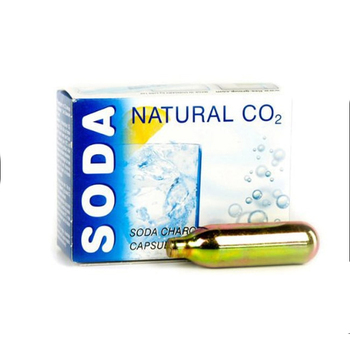 Made from 100% recyclable steel, the 8g co2 cartridges can be put in with your recycling, just ensure they are completely empty. Do not recycle unused cartridges. This product is manufactured by Mosa, Liss, and iSi. All of them manufacture a variety of CO2 cartridges for carbonating soda, pressurising beer, tyre inflation, and for car airbags, sports air guns, paintballing and much more. 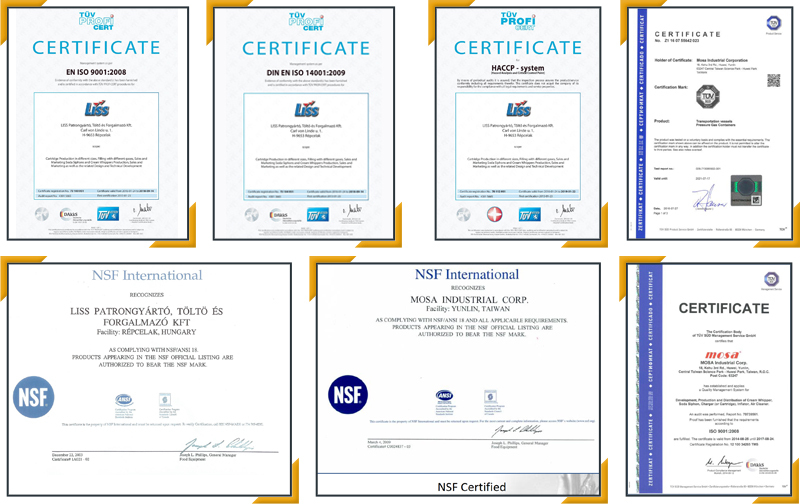 All Liss Co2 cartridges, Mosa co2 Cartridges and iSi CO2 Cartridges are produced to a high standard and supplied meeting all health and safety guidelines and requirements. 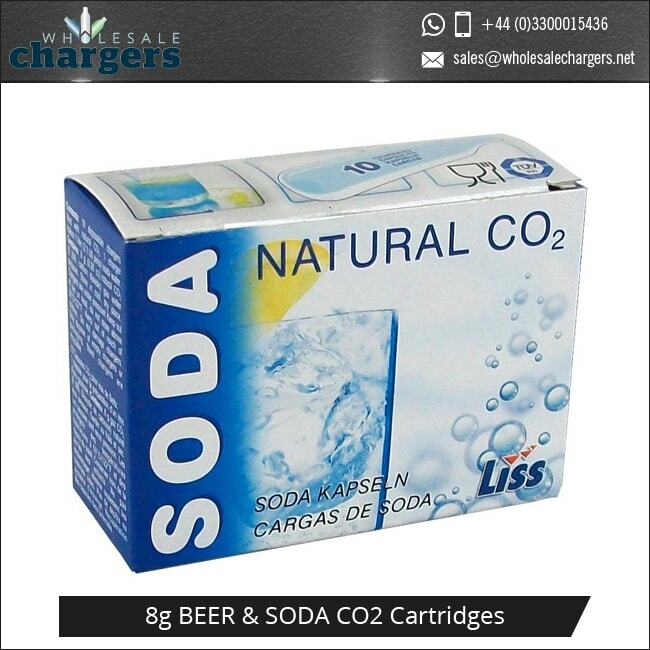 All Liss soda chargers, Mosa soda chargers and iSi soda chargers, soda sparklets and soda bulbs are made safe and suitable for use with beverages. Liss founded their company based on CO2 when 100% pure and natural CO2 was discovered coming out of the wells near their current factory. 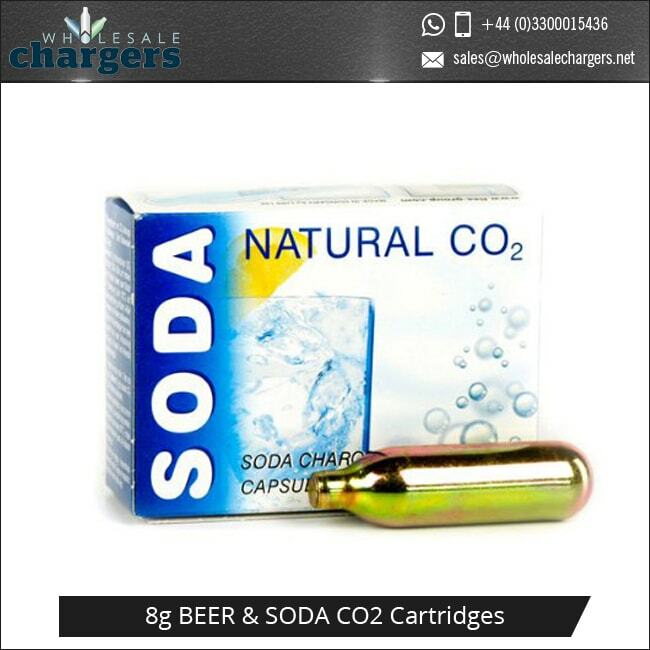 If you are looking to buy soda chargers or specifically the 8 gm co2 cartridges, then order here or ask for more information. Minimum Wholesale Order is 360 Cartridges. All Co2 products come with relevant health and safety information for each product and can be customized to suit your needs. 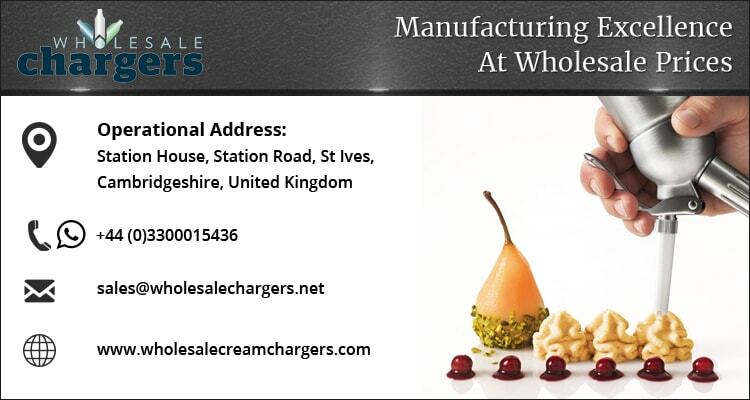 Subject to order size of MOQ 120,000 CO2 Cartridges, all our products are OEM friendly meaning you have plenty of room to put your own brand, designs and colours on all products to build your own brand or business. Products and packaging can be designed and customized with us before shipping, with your consent, to customize them the way you want.